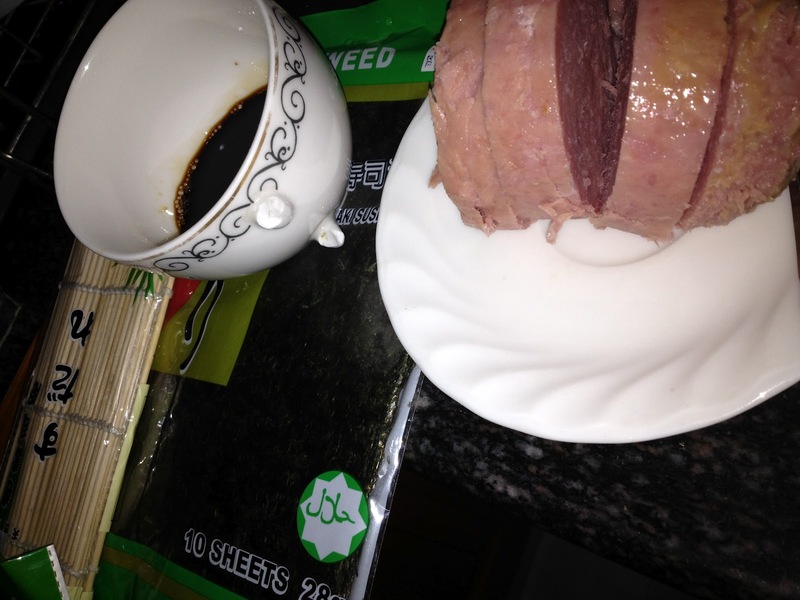 The original recipe is for Spam musubi and I just used luncheon meat instead. 1. Slice the luncheon meat into 8 even pieces - its upto you if you want thin or heavy slices of meat. 2. Mix soy sauce and sugar - no definite amount, adjust to taste if you prefer it salty or sweet. 4. Pour the soy sauce - sugar combo over the spam. Let each equally absorb the liquid. 6. 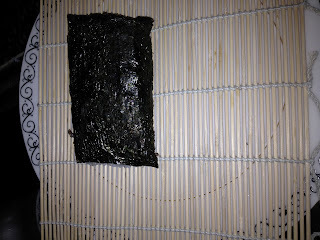 Make sure to assemble Nori on top of wooden sushi shaper, scoop a cup of rice then lay the meat on top. 7. Use the sushi shaper to wrap the nori around the rice.